Virtua Health, which owns three hospitals in Burlington County, would acquire the two hospitals in the Lourdes Health System in Camden and Burlington, according to an announcement Virtua released on behalf of both systems. The news comes three months after Cooper Health backed out of a deal to buy the Lourdes hopsitals, as well as St. Francis Medical Center in Trenton. All three are owned by Maxis, a division of Trinity Health which operates 93 hospitals in 22 states. Cooper filed a lawsuit in December to regain the $15 million it placed in escrow when the two were exploring the deal. 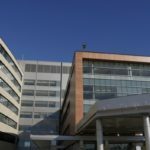 “Maxis Health System, an entity of Trinity Health, and Virtua Health have entered into a non-binding Letter of Intent regarding the possible acquisition by Virtua of The Lourdes Health System, including Our Lady of Lourdes Medical Center in Camden and Lourdes Medical Center of Burlington County,” according to a statement Virtua spokeswoman Peggy Leone released Thursday.